Line Johannesen is Norwegian and has her background from the Norwegian wind band tradition. She started to play at the age of 8 in the school band and continued to play in different wind bands and brass bands. She studied music education at the Conservatory in Tromsø and moved on to study performing art at the Academy of Music in Oslo with Ingemar Roos and Thorbjørn Lønmo and at the Academy of Music in Malmö with PK Svensen. From 2003-2006 Line was member of Verbier Festival Orchestra, and since 2006 she has been living in Finland, playing in The Finnish Radio Symphony Orchestra where she has been a permanent member since 2008 as wechsel trombone. Line has played with most of the Finnish orchestras such as Finnish National Opera and Finnish Chamber Orchestra, she’s been giving master classes in Germany and Finland and performed in several festivals, among them Lieksa Brass Week and Aino Ackté chamber music festival. 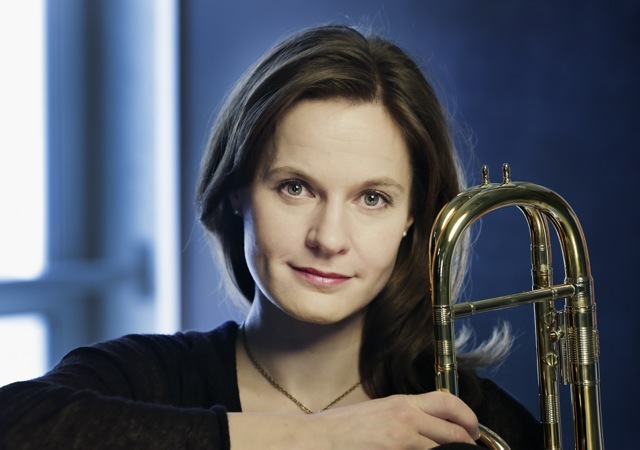 She’s been touring with Tine Thing Helseth and tenThing and teaching in the Finnish brass Academy for young brass players. She is regularly performing with Uusinta ensemble of contemporary music.